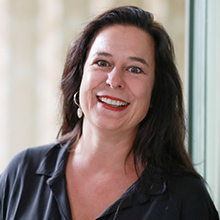 Karin Koppers is co-founder and Director of Integis. Before she made the switch to forensic accountancy she gained experience in the international control practices of one of the Big Four companies. She also acted as financial controller for an international holding and its corresponding subsidiary companies. Karin has worked in forensic services since 1999 and has carried out numerous investigations into fraudulent and other criminal activities. These investigations served both preventive and repressive aims, dealing with, among other things, the sensitivity of internal systems to fraud. Karin read Economics at Groningen University and took postdoctoral accountancy studies. Karin is as a teacher also connected to Nyenrode Business University, Bachelor of Science in Accountancy.